Leasing pastures is a very important concept in the industry of agriculture. Whether you are looking for a pasture lease for farming, grazing or breeding, it plays a significant role in serving the economic purpose of any country. It allows a potential producer to acquire a little more pasture without investing a huge capital. On the contrary, the owner of the pasture receives some extra income without actually getting involved in the business. 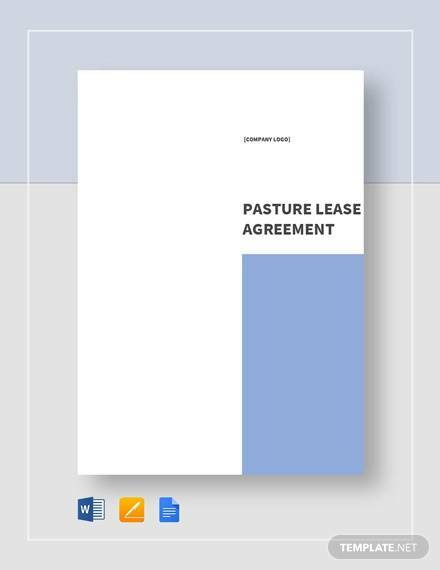 It is important that a Pasture Lease Agreement is fair, so that it can last longer. A fairly written agreement is more likely to follow, renew and enforce in a better way. This one is perhaps the most common type of pasture lease. 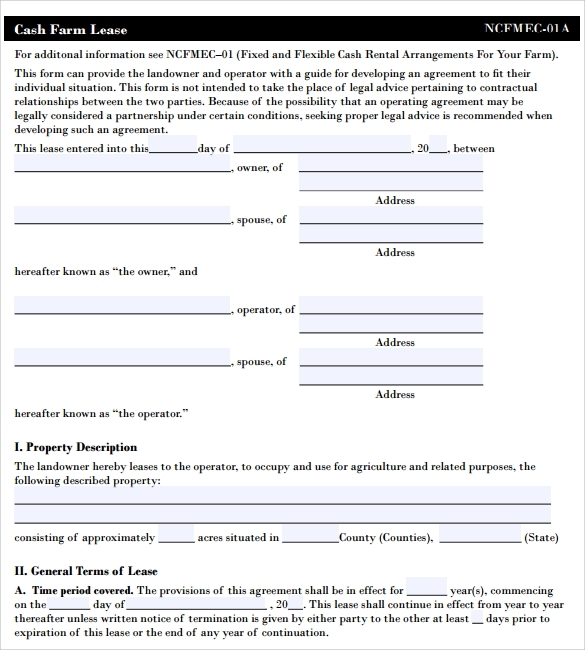 In this lease, the tenant agrees to pay a fixed amount to the owner every month, and at the same time handles all the production costs himself. All the profits are kept by the tenant, and the owner just receives his rent. 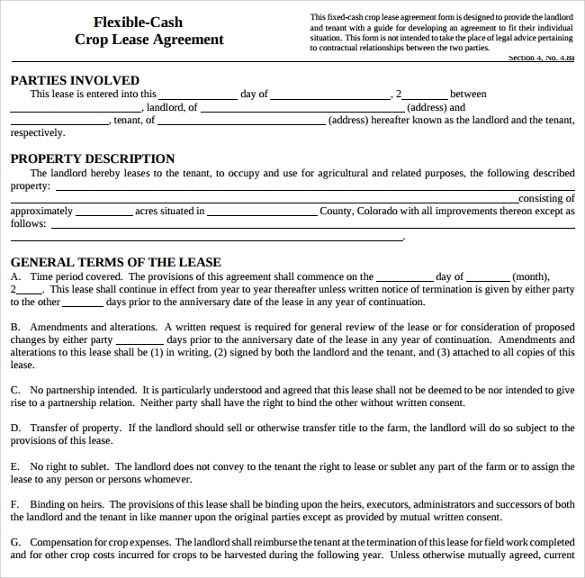 This kind of lease is also similar to the fixed cash lease, but the final rent is decided based upon the actual price or yield at the end of the season. A minimum and maximum amount is decided, but it can be adjusted as per the success of the pasture. 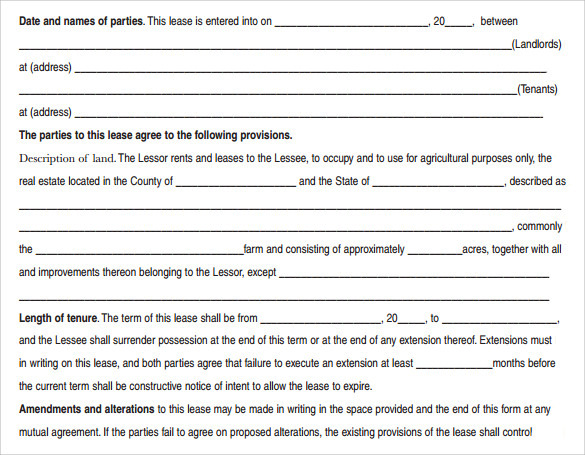 In this lease agreement, the landowner is responsible for supplying the land and the buildings, and the tenant is the one who supplies equipment and labor. Both the parties share the veterinary bills and the feed, and they jointly buy and own the livestock as well. A percentage share is mentioned in the agreement, according to which the income from sales is divided between both. In a profit share pasture lease, the profits are shared between the tenant and the landowner as per their contributions in the operations. Typically, the landowner offers his fencing and land, while the tenant pays the input costs and owns the livestock. The minimum and maximum number of animals to be reared is agreed upon in the agreement, and the profits are shared based on that. 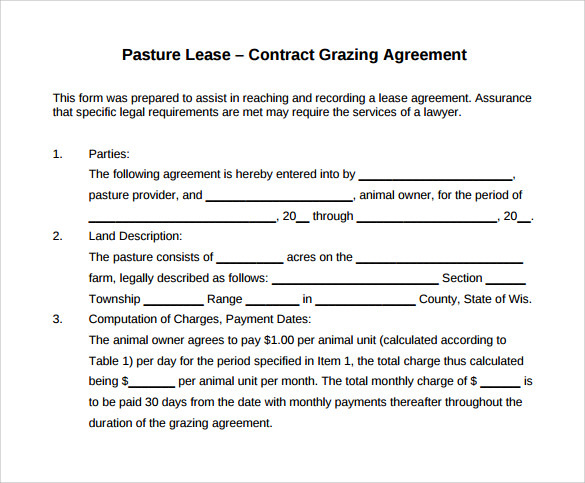 A pasture lease agreement should be made in writing, which will serve as a reminder for both parties, and also as a legal record. 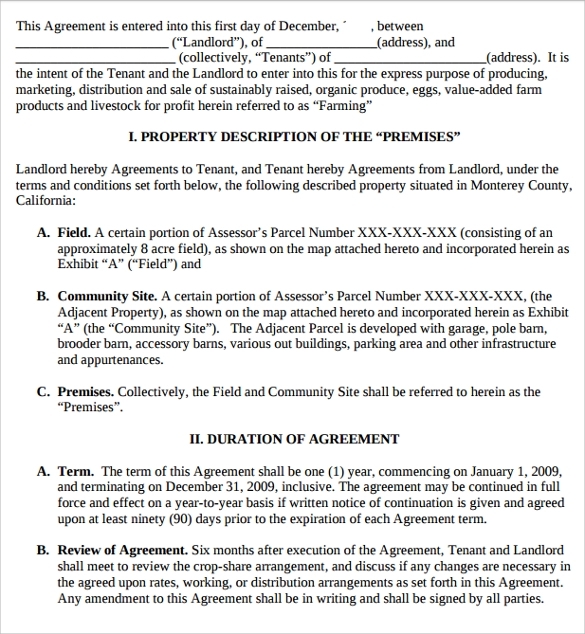 The agreement should contain the details of the parties, data of lease and termination, the pasture’s description with a map, minimum and maximum number of animals to be pastured, amount of pasture rent, provisions for disagreements, etc. 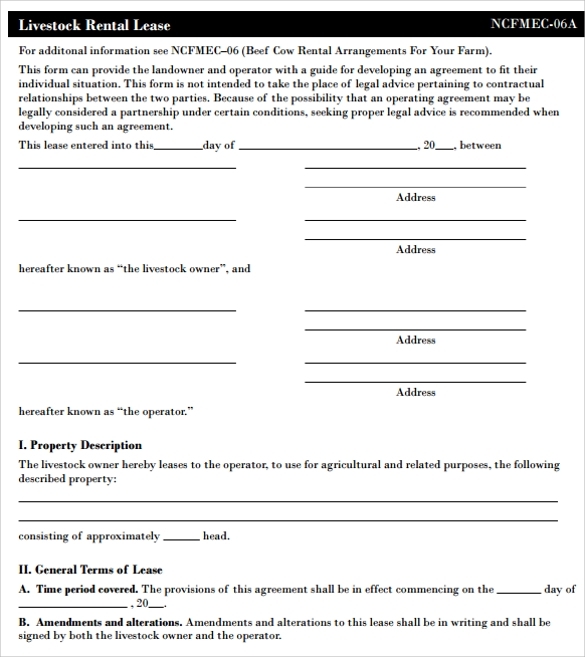 Either use a template to create an agreement yourself, or take help from a professional expert. 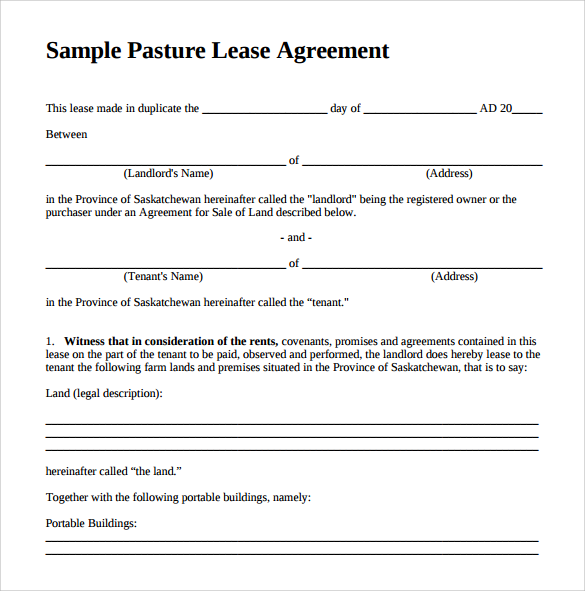 Even if you are renting a pasture from or giving a pasture to a friend or relative, you should not start a lease without getting everything signed on paper. 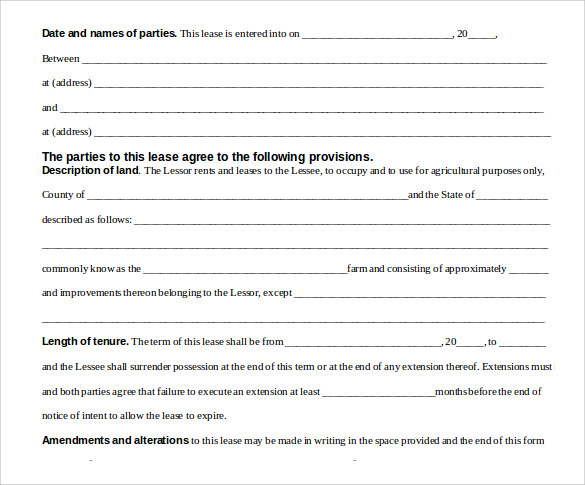 A ready-made pasture Home Lease Agreement can be easily downloaded from here. 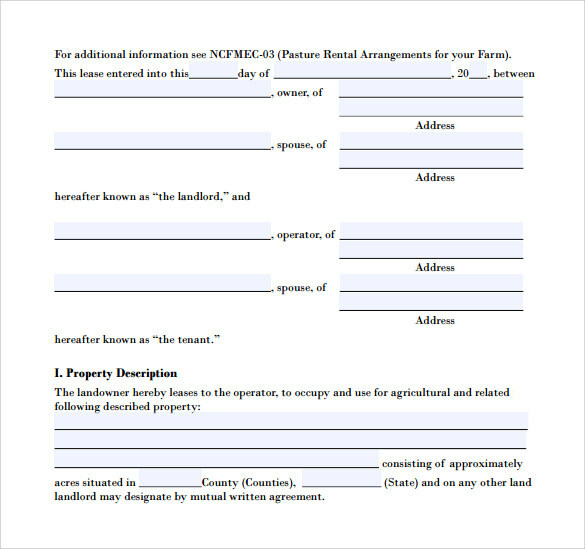 You can fill in the details, make the necessary changes and print it out to get it signed.